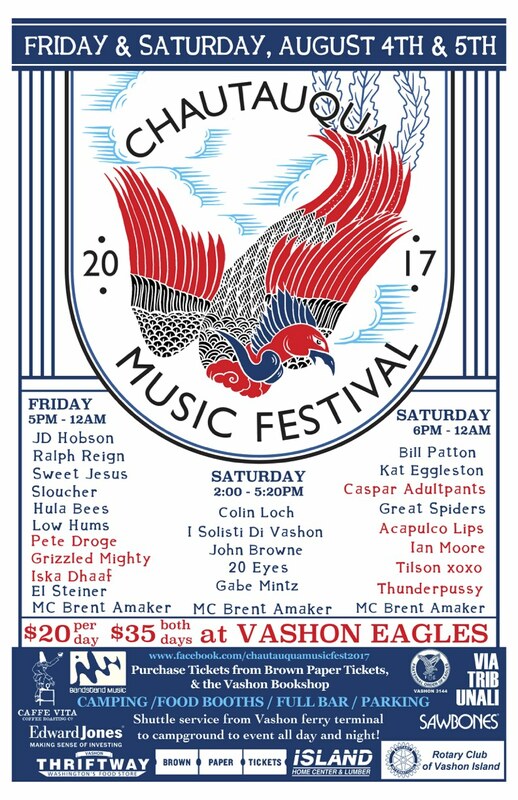 I’ll be playing the Chautauqua Music Festival on Vashon Island at 9pm on Friday, August 4. It’s a benefit concert to raise funds for youth music programs on Vashon Island. As usual, I’ll be joined by Elaine Summers. Plus, I’m thrilled to have Jeff Fielder on guitar. For tickets and info CLICK HERE.